Sharing weight loss testimonials is one of the most rewarding and important part of what we do as a Skinny Fiber Distributors. They help inspire people to want to lose weight, and since staying on track is such a difficult part of weight loss, those personal weight loss stories also help you stay motivated while doing the 90 day challenge. You can find these Skinny Fiber Testimonials on my Facebook page and other social sites, as well as in periodic posts on this blog (the links are below). If you have one to share, please feel free to send them to me. Hers is a story about how detox helped with a certain health issue which is not a typical results testimony. Plus, she's losing weight, too! "Hello. 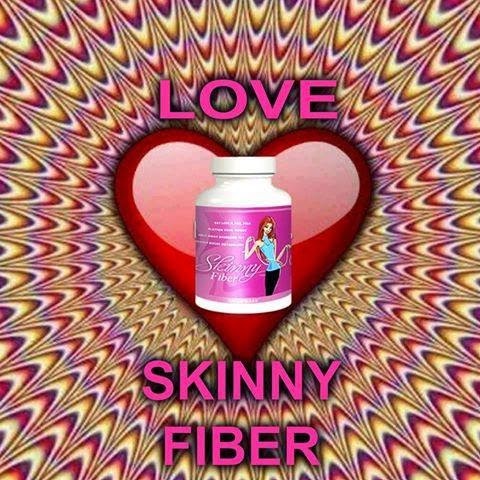 I just wanted you to know how much I love my skinny fiber. It makes me feel really good. One thing I that I find so crazy is, that I suffer from really bad anxiety and can never take anything. I started mixing it with applesauce and then drinking a couple glasses of water with it. Now I can just take them with water. Since I have started taking them my anxiety has almost disappeared. I'm not sure how that can be. The only thing I can think is that it helps cleanse your body. Maybe I just had a lot of bad toxins in my body and it helped clean them out. Whatever the reason, I'm a customer for life! If you ever have anyone concerned because of anxiety issues tell them you sold it to someone that has severe anxiety and it changed her life. I couldn't even take anxiety medication because I had anxiety over that! This product is amazing." "I have noticed all of those things! I never really had an appetite to start with. That was my big problem. I was never hungry. I just always ate to eat. But with skinny fiber it actual helps me control not wanting to just eat for "fun." I have been exercising a lot and drinking lots of water and have gone down a pants size. I haven't weighed myself only due to the fact that that usually hinders my progress. I'm trying to wait a bit. Especially since it's so soon." "Thank you. Thanks for all your help when I first started. I'll be excited to share my future results." I'm looking forward to sharing Lisa's weight loss pictures after the 90 day challenge! Congrats to her for keeping in touch during her challenge and doing what she needs to start losing weight. Also, in feeling brave enough to share her experience to help other people. Her results and caring spirit are inspiring. CLICK HERE to see customer pictures and for the links to the read Skinny Fiber testimonials on my Facebook page!